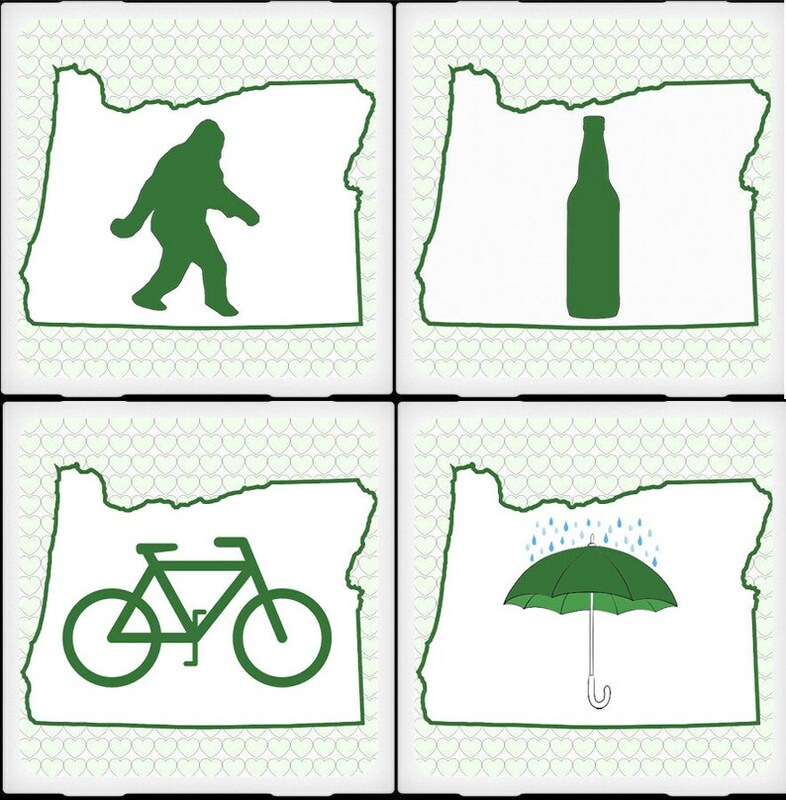 A set of six coasters that represent what is unique about the state of Oregon! Our coasters will add a touch of style to any room in your home, office, or wherever you decide to put them! They are the perfect balance between form and function. More than just a pretty picture, they work great too! A wet glass will never leave a permanent ring, nor will they stick to the bottom of your glass! They clean very easily with a dry or damp cloth, plus the face can be rinsed under running water, just no dishwasher please. Images are professionally printed on a state of the art, self adhesive photo material which creates a permanent bond when applied to the tile. As an additional layer of protection, a matte laminate is applied to the surface. This ensures the coasters stay water, scratch, stain, and heat resistant. We also take the time to round the corners of the images for a professional look and feel! Every tile we use is produced by a LEED certified, green company that believes in earth-friendly sustainability. Each tile is hand filed to remove any rough edges, then is backed with black eco-foam to safeguard against any surface abrasions and/or sliding. Each coaster measures 4 1/4 inches square, perfect for just about any size drink container you can imagine. They have been reviewed by the Bees Go Buzz blog! Thank you for shopping House of Six Cats! You can check out everything that we have to offer by going to www.etsy.com/houseofsixcats. Beautiful coaster set, thank you!